When less is more. I strongly believe a home office needs to be clean, tidy, minimal, in order for you to relax and concentrate. 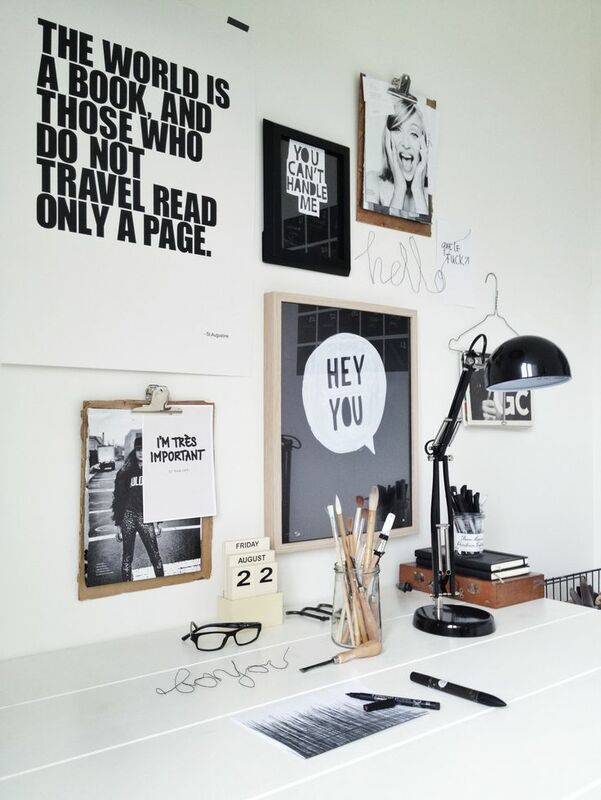 In my browsing I found these lovely images of home offices. 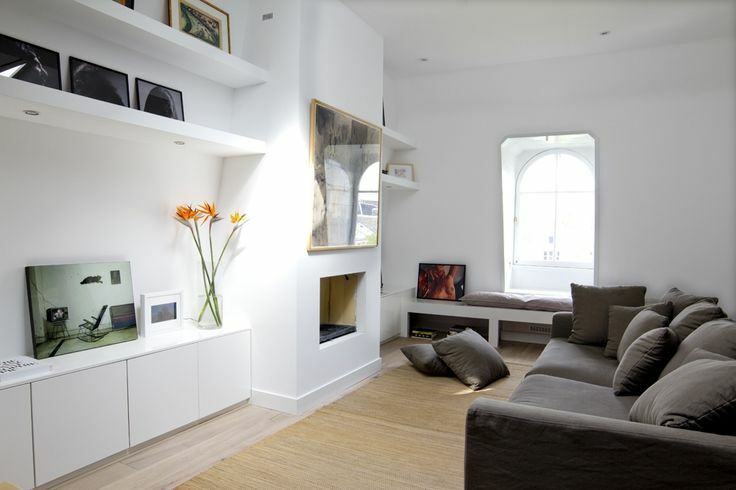 The all white interiors and natural tones are perfect to open your mind to fresh new ideas. 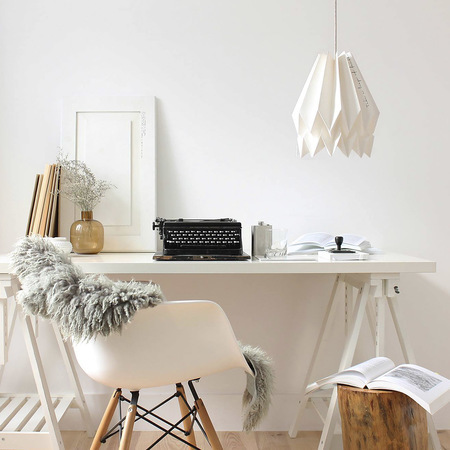 The Orikomi Paper Shade is a subtle elegant detail for this home office space. 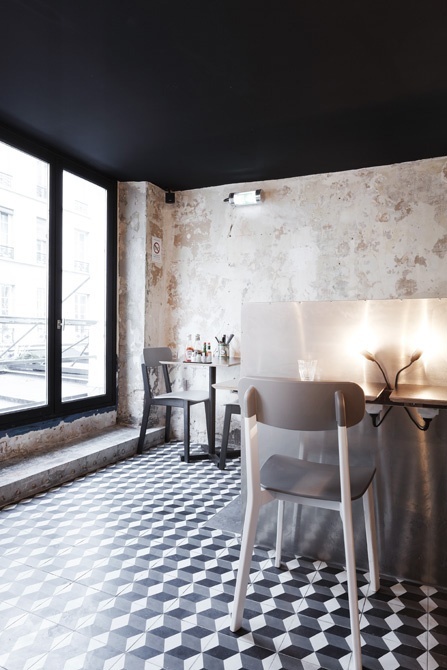 I like the exposed bricks painted in white! It`s great to use the wall for inspirational quotes and images. 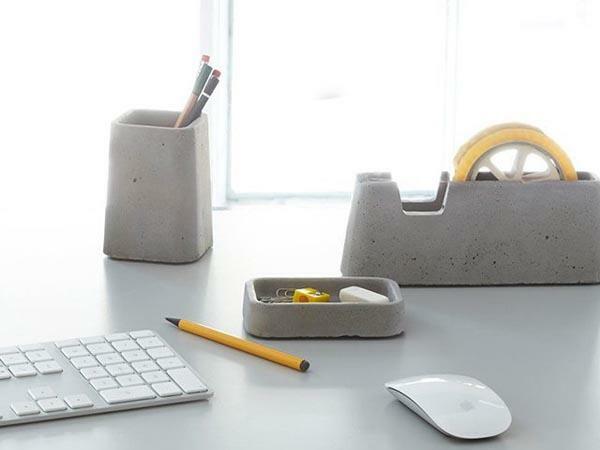 For minimal and elegant desk accessories how about this Concrete Desk Set and Prism Magnifier by Areaware. 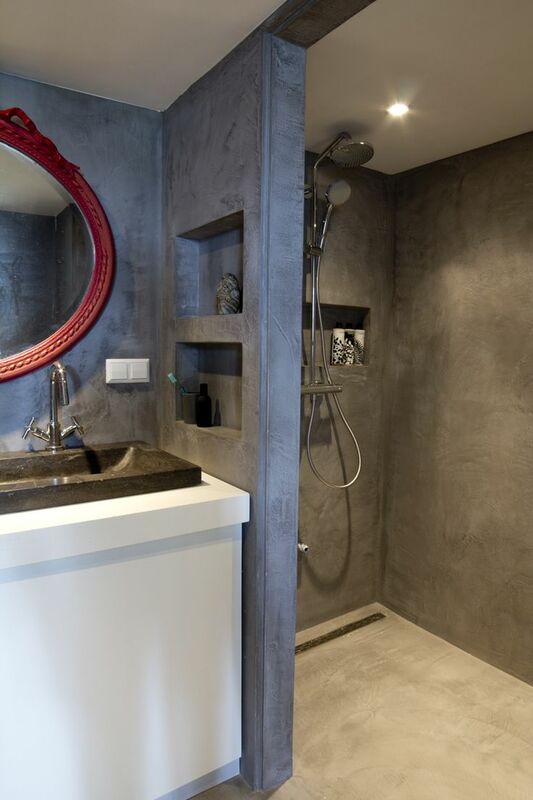 After several years of experience as a designer for the renowned Kelly Hoppen, James van der Velden set up his Interior Design Studio BRICKS in Amsterdam in 2010. 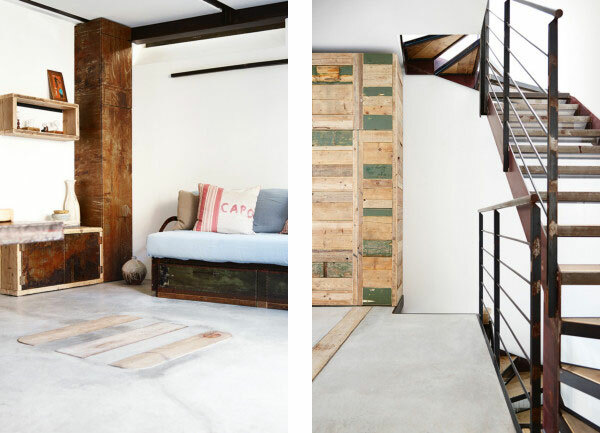 For one of his client, BRICKS has created a wonderful apartment of a distinct style. 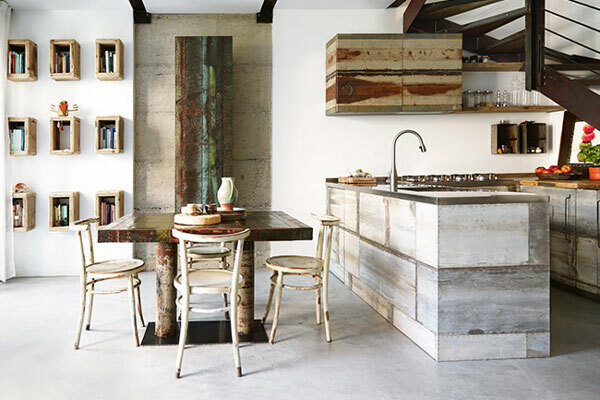 I like the combination of industrial elements – such as the kitchen lighting – with recycled touches: look at the amazing kitchen isle made of cement and recycled wooden planks. The vintage feeling of the kitchen is opposed to the contemporary and sleek living room. 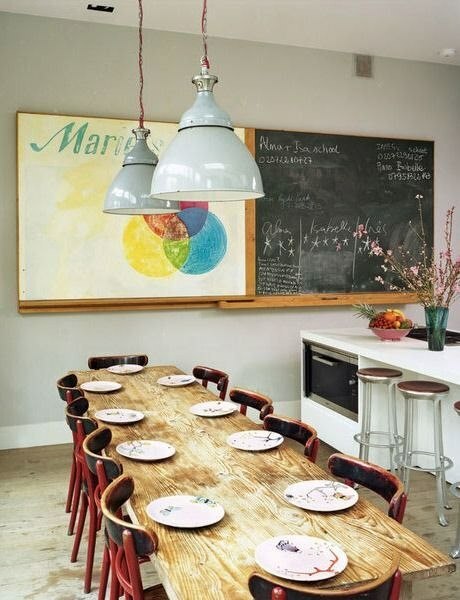 Amazing kitchen counter made of cement and recycled wooden planks. Collections are not for closets. 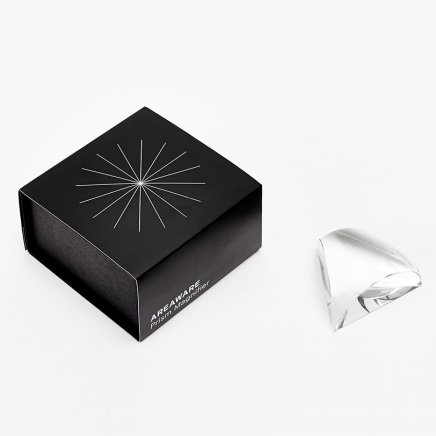 If you have bought something you love, you want to show it off. 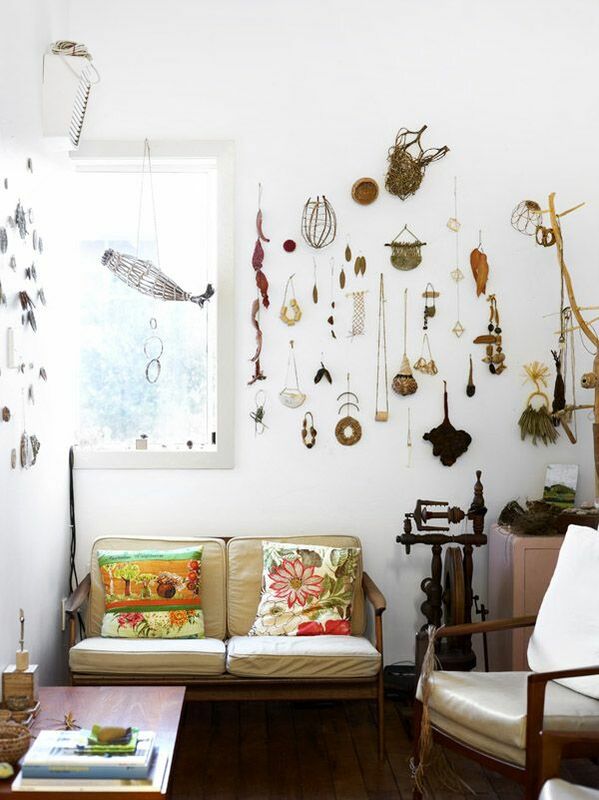 So don`t be afraid to take out your personal collection and surround yourself with it. Displaying is an art. So think about it carefully before hanging out your precious things. You can place your items, take a picture, and try different layouts, till you are happy with it. 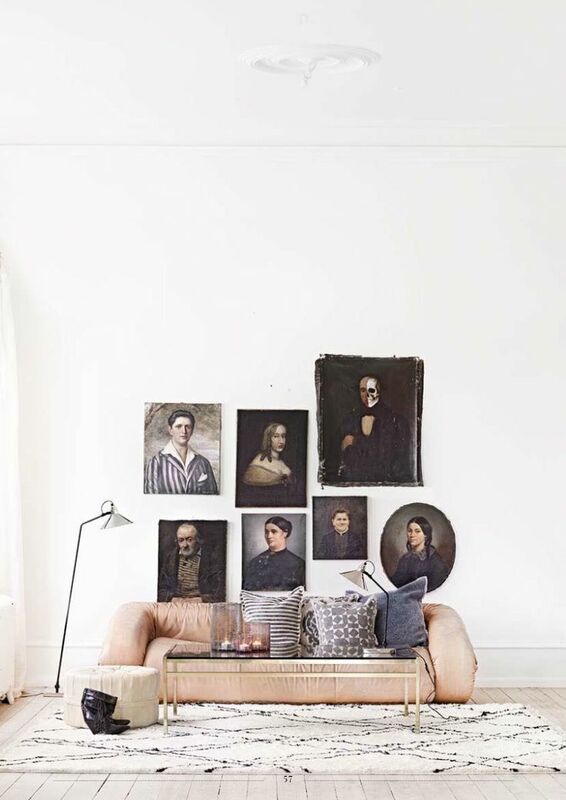 Surround yourself of what you love: even if your pieces aren`t expensive or valuable, they are still part of you and you can create a nice display that will light up your home, create a focal point and create a unique space. 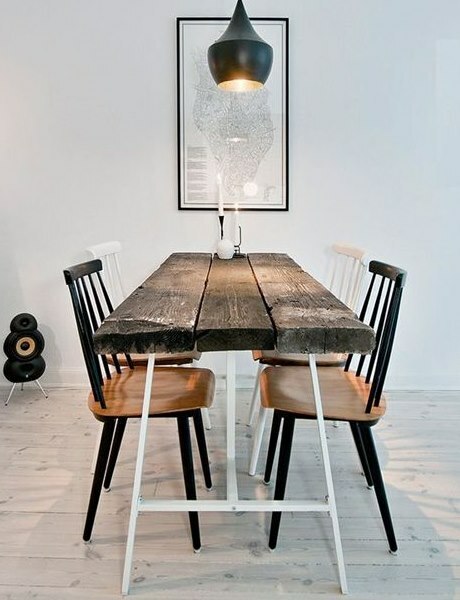 Think outside the box: I have selected from Pinterest some images that I am sure will inspire you. 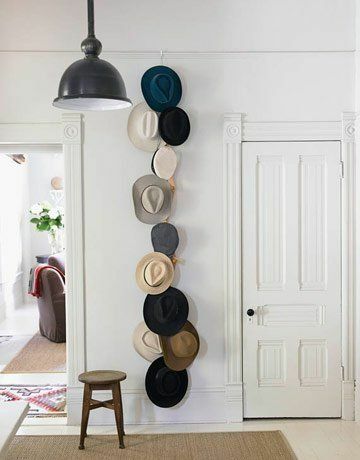 As you can see you do not need to perfectly align your collection. 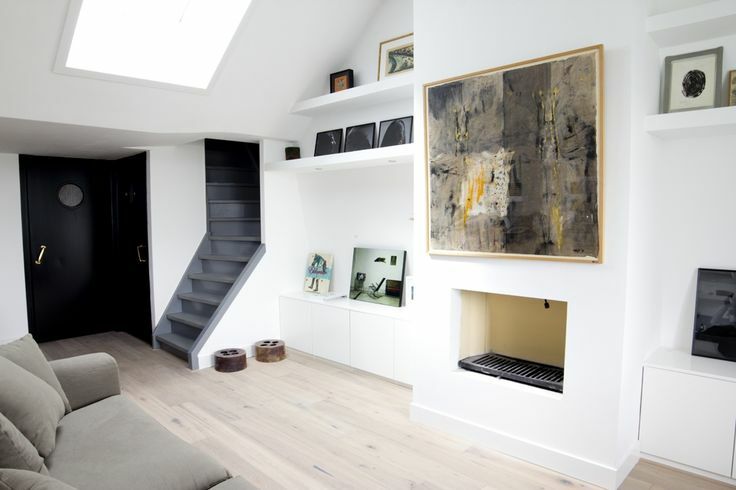 Take inspirations from store Portrait in Raamvest, Haarlem (Holland), pictured above. 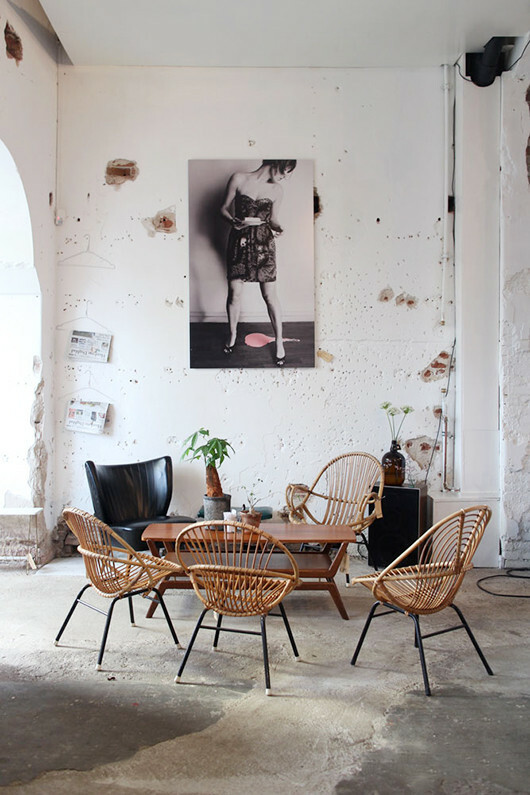 Distressed unfinished walls and wicker bamboo lounge chairs for a relax area to socialize with friends. 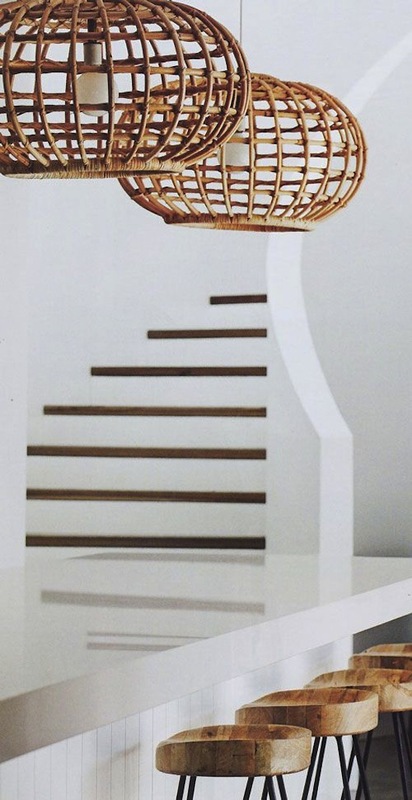 Natural material for the above lampshades made of rattan. Fabulous Vintage Mid Century Wicker Basket Chair available on Etsy! 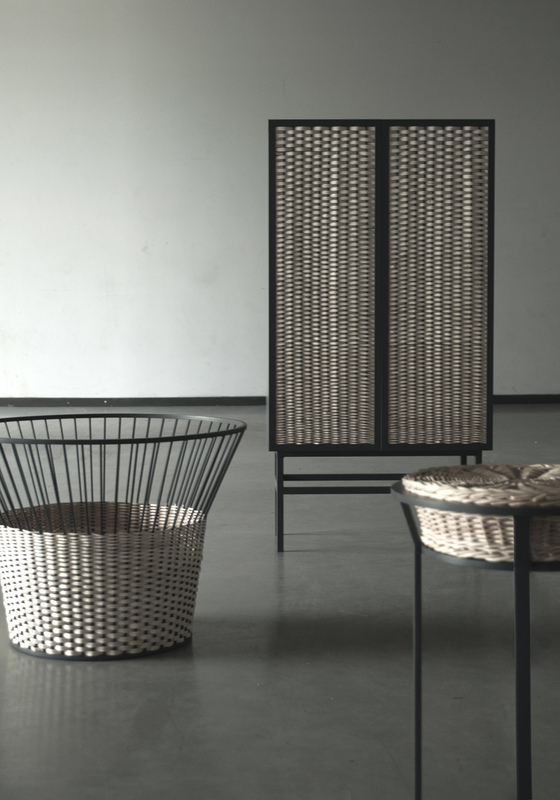 Design studio Chudy / Grase have created a lovely collection called “Meet the Wicker” . 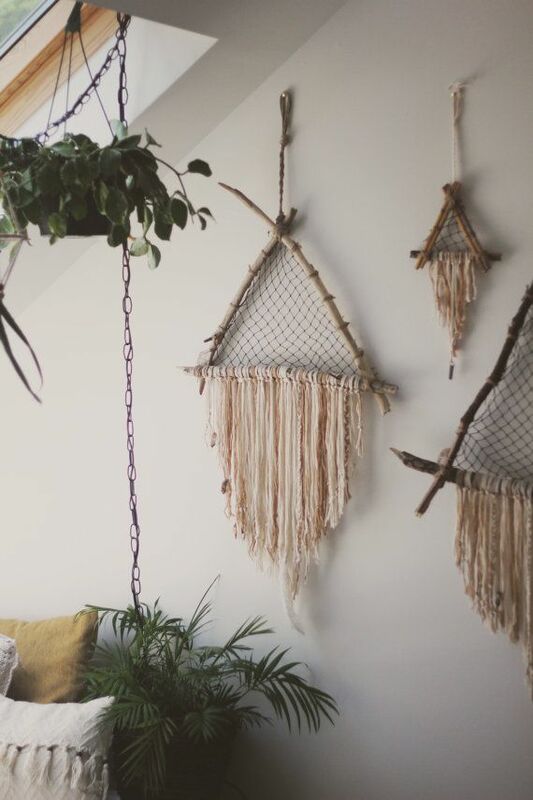 By combining the traditional craft with the industrial metal frame the project aims to go away from the crafty look of wicker weaving and instead reinterprets the plants core values. The result is a series of fab modern pieces. 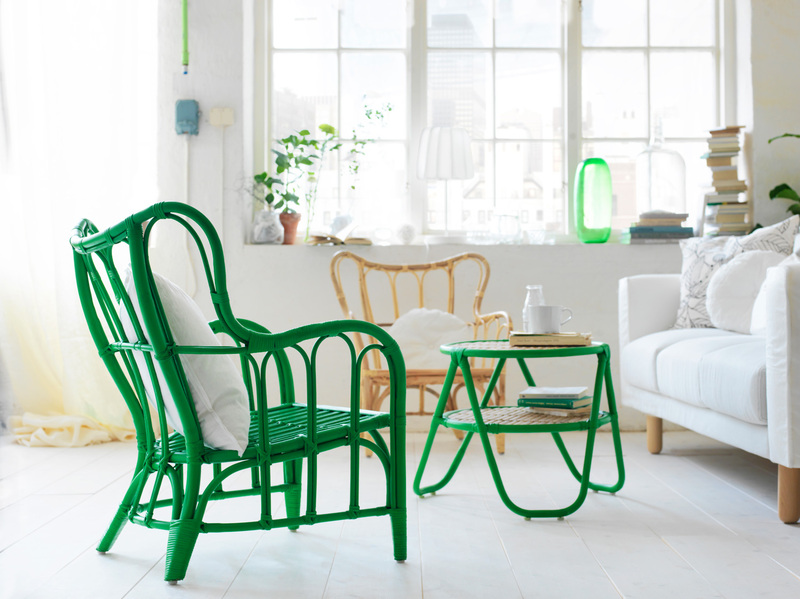 Even Ikea has launched a collection of rattan furniture and accessories. The limited edition NIPPRIG range, made from renewable natural materials, is a collaboration between local artisans of Vietnam and Indonesia. The collection includes chairs, containers, decorative rugs, and we like the introduction of bright colors. 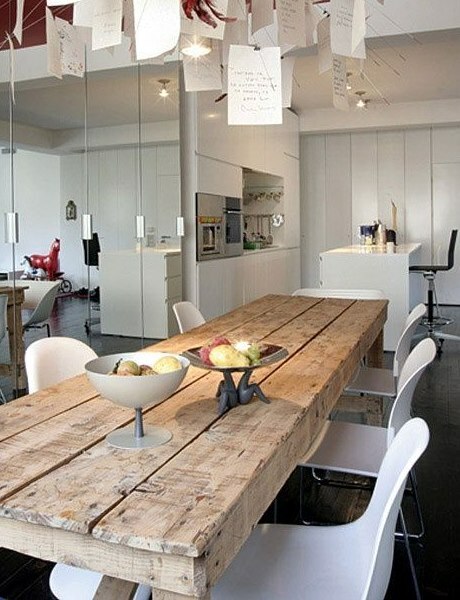 These long, rustic feel, planked tables are perfect for a country look kitchen and living but we love them even more in a modern sleek interior space. 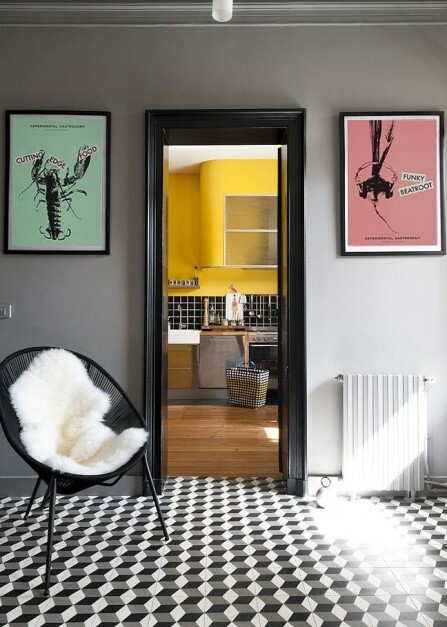 This house in Milan’s lively Isola district is filled with unique pieces crafted out of raw materials by the talented industrial designer Costanza Algranti. 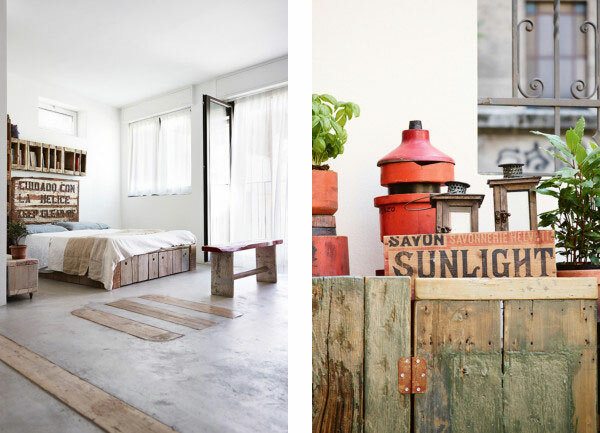 Costanza scores the streets of Milan in search for all kind of stuff: benches, gutters, barrels and metal sheets. She selects them thinking about what they might become. In her laboratory she works these materials to create new, fresh and unconventional furnishings: lamps, mirrors, chairs, kitchens. The result might not be everybody taste but I admire Costanza`s ability to transform raw, discarded things into treasure pieces which bring within numerous traces of what they were. Deco Alert: Tiles Me Up! I must admit I am a wooden floor person. 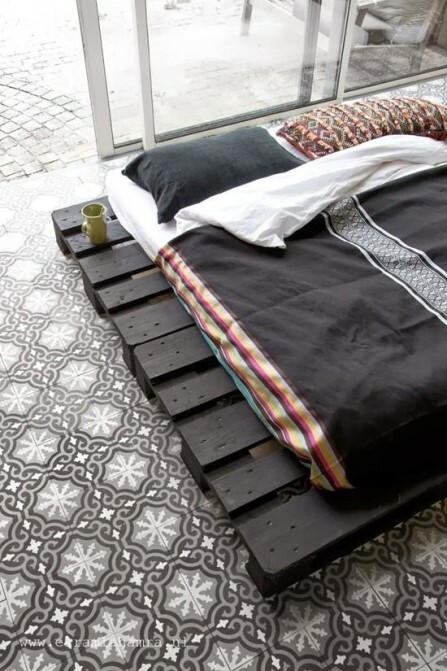 I love the natural changing color of wood, I like the cosyness and warm of the wooden floor under my feet. 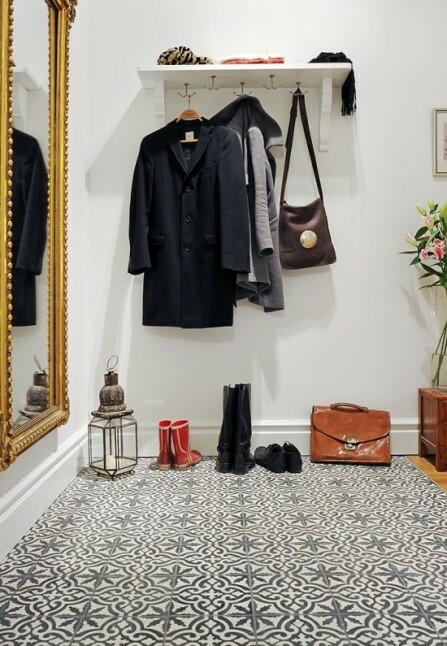 But lately I spotted these gorgeous images of tiles and they are growing on me now. Like them?